If you happen to be sailing around the coast of the UK in the next six weeks, you might want to book a mooring at Whitehaven harbour. 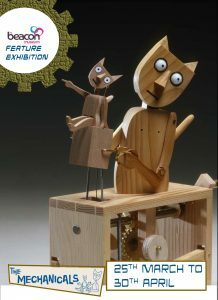 Our touring exhibition, The Mechanicals, has arrived at The Beacon Museum and will be entertaining visitors of all ages from Saturday 25th March. Opening times: Tuesday – Sunday 10am – 4:30pm & Bank Holiday Mondays (last admission 3:45pm). Admission Charges apply. Closes 30th April 2017. Just seen your works at Whitehaven Beacon.